I'd like to say that the only tools a writer needs are a pen, a page, and the will to pursue an idea. But I’ll admit that’s mostly fluffy "writer talk." That’s because the idea of writing is too often romanticized — you won’t have to look far to find a photo of a writer gleefully posing next to a typewriter holding a quill pen. But the reality is that since brands are becoming publishers, marketers are becoming writers and vice versa. As Ann Handley says, “Good writing helps good marketers become great marketers.” And just as we've got an arsenal of useful marketing tools to streamline our marketing workflows, there's also a collection of ways to make the writing process easier. I can’t speak for other writers, but I rarely pick up a pen anymore except to scrawl a brief note. I opt to type instead; it's faster. And it’s not just the word processor. There's a whole armory of tools at our disposal to alleviate many of the pain points in our writing routine, from ideation to research to sitting down to write. So put away your pen, paper, and “purist” notion of writing. Here are 4 types of writing tools that today's marketer needs, and one that predates the pen but is more important now than ever before. If you write on a day-to-day basis, you should be keeping an Idea Journal. A lot of writers I talk to don’t actually “write” at their desk, but rather when they’re doing other things. “I’m not procrastinating! I’m writing.” — a writer, eating a bag of chips while binge-watching Breaking Bad. Writing is actually an ongoing process, a lot of which occurs in our heads as we go about our daily routines. That’s why it’s important to have a method for collecting your ideas for later use. Some carry around a small notebook or write in their smartphones, but for true mobility nowadays you should bring your ideas into the cloud. I personally use Google Docs to collect ideas. It’s simple, always accessible, and is great whether you're writing quick notes or full-fledged pieces. I’ve also heard others recommend EverNote for its emphasis on collaboration and note-taking, making it a great platform to streamline your workflow from start-to-finish in a single place. Collect pages of ideas, good and bad, until you have a reserve of headlines, phrases, concepts, and more. You never know when you need to capture a fleeting moment of inspiration or when you’re forced to perform despite writer’s block. It’s good to have a collection of ideas you can always add to and draw from. It’d be to your benefit to also use cloud storage services like Dropbox and Google Drive to store your documents, images, and files for easy access. Most writers, because of the nature of their work, are notorious procrastinators who are only saved because they worship deadlines. “I’m not procrastinating! I’m still writing.” — a writer, checking his email for the 7th time in 5 minutes. That's why it's important to find your own way to consistently focus and perform even when you feel distracted or unmotivated. 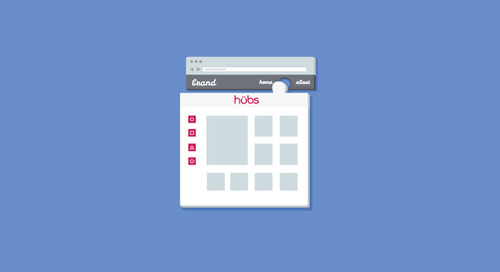 iDoneThis is a productivity service that sends you a daily email asking what you’ve done throughout your day. You simply reply with what you’ve managed to accomplish that day, and it logs it into a calendar on your behalf. I personally find it both motivating and helpful to see my overall efforts mapped out in a calendar over time. It’s also free for personal use too. But the biggest struggle comes when it's time to sit down and write. You know that special place your mind goes where you forget the rest of the world while you work? Most of us call it "being in the zone." With the right tools and techniques, you can actually go in and out of this state on demand. For example, you can use simplified online word processors like Zen Pen to get you to focus on your words and the white page. Nothing else. If you want something more minimalist, and feel you perform better under pressure (like myself), try out BlindWrite. This free tool lets you write against a timer and eliminates one of the greatest distractions when you’re writing — the words you’ve already written. I turn to this tool on my worst days. iA Writer is considered the best distraction-free writing tool around, streamlining the entire writing process from note-taking to writing to editing. While it is an Apple-only paid app, its many features are built with the writer in mind and is worth the investment. Shane Snow, founder of Contently, says he likes to “listen to a single song on repeat over and over again to simultaneously create psychological movement and white noise." I've heard others recommend it and it works wonders for me. Give it a try next time you write by visiting ListenOnRepeat and plugging in a song. Text Analyzers are a mixed bag. Some dismiss the effectiveness of robots and algorithms when it comes to writing for humans. But if you’re writing online, you should definitely look into this budding technology. When you have to consider things like keyword density, audience-appropriateness, and headline effectiveness, text analyzers can give your content an objective evaluation to see if you’re actually adhering to the best practices. I like to test my headlines using this free headline analyzer tool from Advanced Marketing Institute that gauges the Emotional Marketing Value of your titles. I’ve also heard good things about Atomic Reach and the insight it provides into your overall content marketing and publishing performance. Try their free Engager Lite tool before publishing your next blog post to get a feel for areas where you can improve your post. I find the best way to use these tools is to look closer at the individual parts of their analyses rather than the final score. As a writer you research, and as a researcher you read a lot. While typing speed is important for writers, the ability to speed read (or at least read faster than normal) shouldn’t be ignored either, especially when we spend so much of our time searching for information. However, I’d highly recommend against taking “speed reading classes." Most of the stories I hear about these less-than-effective sessions always seem to end with the person quitting out of frustration. Instead, practice suppressing the extent to which you subvocalize when you read — in other words, turn off that “voice” that reads everything word-for-word in your head. Acceleread is an app that helps you practice this, and is the one I personally used when I tried to learn. The obvious trade-off for increased speed is decreased reading comprehension, but this difference actually becomes marginal the more your practice. After a few hours practicing with this app, you’ll notice an improvement. You might also want to look into Spritz, a relatively new technology that seeks to revolutionize reading efficiency. Spritz takes a body of text and presents it one word at a time in quick succession.  You can try it out for free with Readsy. If knowledge is power, then the ability to consume knowledge faster is basically a superpower, right? Without empathy you’re just talking to a page or, worse, to yourself. You need to use it to connect with your audience. You don’t. You hone it over time, often by listening more than speaking and understanding more than judging. Before the laptop, before the personal computer, the typewriter, the printing press and even the pen, we relied on this one tool to communicate with audiences and tell stories. And now as marketers we have to communicate with a variety of different audiences and tell better stories than our competition, so you can see why I'm stressing its importance. All of these apps, websites and techniques help, but you and your perspective will be the greatest assets you bring to the page. Have your own writing tools to recommend? Share 'em in the comments! Braveen is a Content Marketer at Shopify. If sending emails are a big part of your daily routine, these email marketing tools are sure to help. 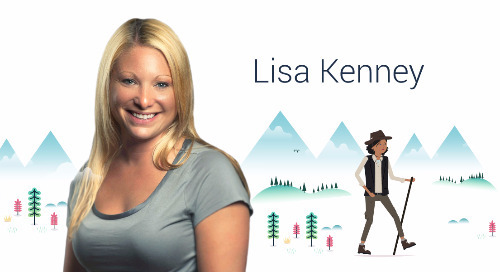 In this blog article, you'll meet Lisa Kenney, senior demand generation marketing manager of Blackbaud and find out why she plans to focus on interactive content next year. 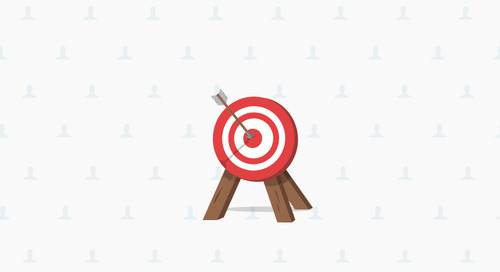 In this blog article, you'll discover how ABM tech tools can work together to deliver real results for account-based marketing. 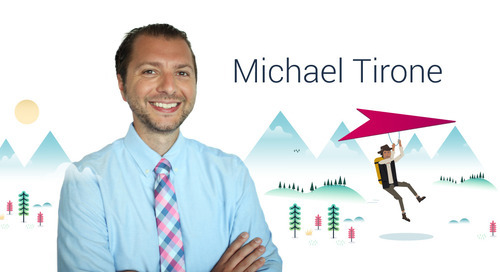 In this article, you'll hear from Michael Tirone, Senior Director of Marketing Strategy and Content Marketing Lead at R2integrated about his wins, challenges, and favorite marketing tools. 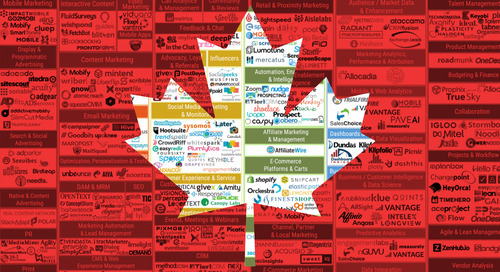 This blog celebrates the number of Canadian players in marketing technology. It gives an overview of Canada's very healthy technology startup ecosystem. 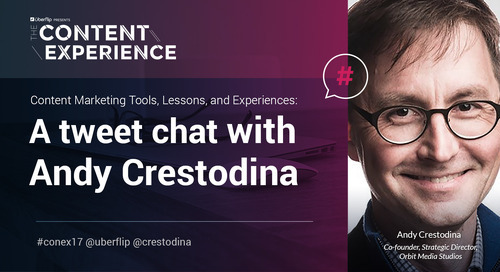 Uberflip and master marketer Andy Crestodina engaged in a Tweet chat, discussing content marketing tools, marketing insights, inspiration, and more. Uberflip CMO Randy Frisch shares five go-to resources that will help you obtain the best technological infrastructure to scale your marketing efforts. 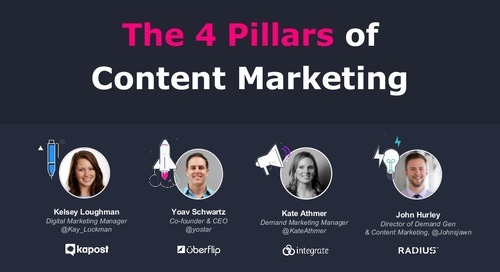 In this webinar, four marketing leaders share their top tips for improving your content marketing processes and technology. Lead scoring is one of the most helpful tools the marketing automation world has given to Internet business. 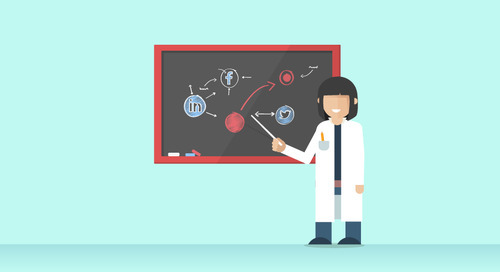 Use these 20 criteria to help you score your leads more accurately and more efficiently. This blog explores what it takes to keep up with the latest innovations in content marketing strategies and tactics as new technologies, channels, and techniques emerge. Putting your content in a sub-par experience is like making James Bond drive a Toyota Prius. 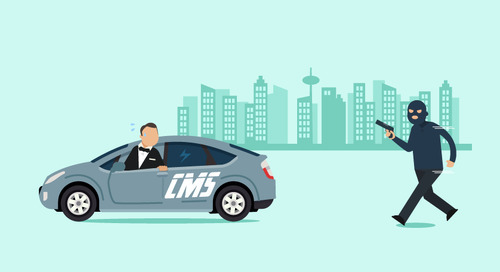 Learn why your CMS isn't equipped with the tools you need to create a world-class content experience. 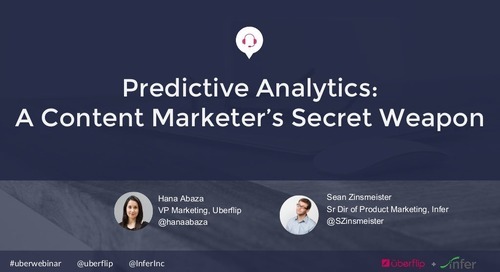 In this presentation, Infer examines the intersection between content marketing and predictive analytics. Learn why great content needs a remarkable experience to reach its full potential. Uberflip Hubs come with a number of built-in distribution tools to help you promote and distribute your content like a pro. 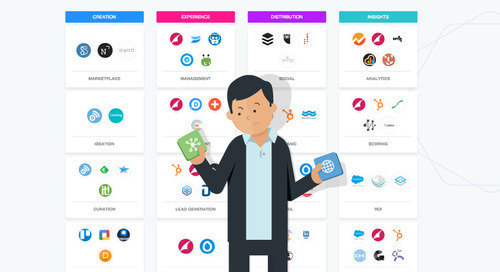 Learn how we organized our marketing technology stack to become an award winner! Learn how to effectively navigate the marketing technology landscape and choose content marketing software that fits your organization's needs. 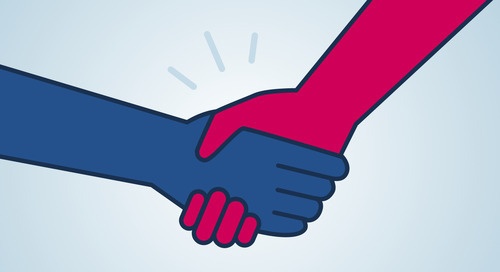 Get an inside look at Uberflip's content marketing strategy. 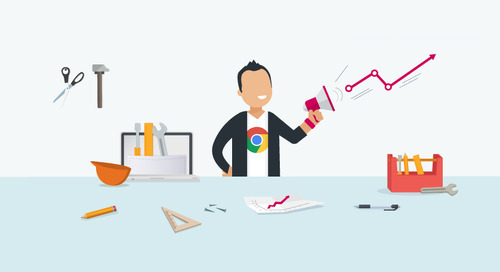 Create better engagement with these Chrome extensions built for sales teams. 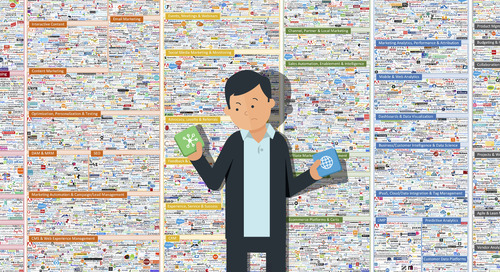 The marketing software landscape is exploding with new offerings. 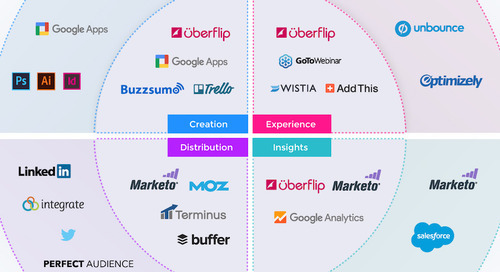 How should you begin to navigate the martech landscape, and what should you consider when evaluating new marketing software vendors? 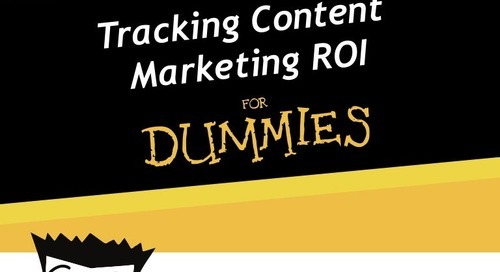 Your most trustworthy content is the kind that your organization doesn't produce. 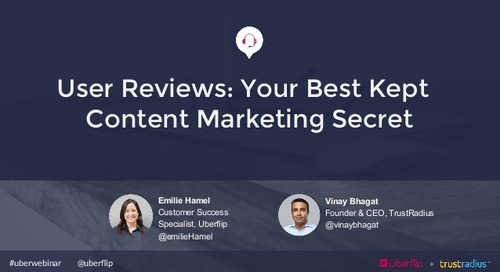 Learn how to leverage the power of user reviews in your content marketing.